To promote and recognize outstanding research by a physics graduate student of Iranian heritage (Iranian, Iranian-American) who is currently studying in one of the institutions of higher education in USA, Iranian American Physicists(IrAP) Network Group has established "Biruni" Graduate Student Research Award which each year is awarded at the American Physical Society (APS) March meeting. IrAP is member of the American Physical Society and March 2019 award (at Boston) would be the 8th year award. We are trying to raise money for 2 set of Biruni award (for March 2019 and 2020) to be able to have ~$1000 for the graduate students cash award each year. We are reaching to Iranian/American communities and individuals who think that our "Biruni" award would help to promote high quality research by Iranian/Iranian-American graduate students here in US. We would appreciate your help and suggestions (even a small amount of $10 is big help). www.irapnetwork.org to see previous winners of Biruni award and also details of the Biruni award qualifications. Similar post for potential Biruni applicants is posted on academicjobsonline website. The award is named after Iranian Physicist/Mathematician/Astronomer "Biruni" from 10th century. 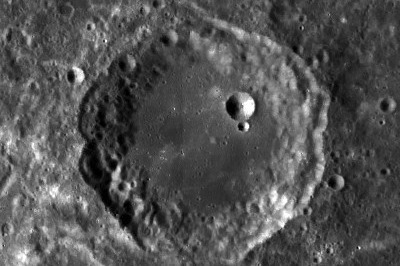 The picture shows the "Biruni" crater on hidden/far side of the moon.